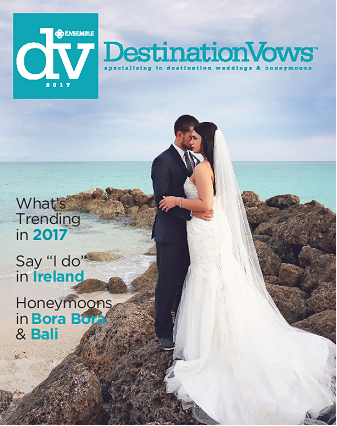 Destination weddings continue to grow in popularity, with Mexico being one of the leading destinations. Mexico is popular because it provides an overall unique experience for the bride and groom as well as their guests. Many of the resorts are able to offer a variety of beautiful ceremony settings. The most popular are beach and garden gazebos, but some also offer even more unique options like rooftop areas and private chapels. Most resorts offer an on-site wedding planner to coordinate all of your details for you. You can have then handle all the details, or you can work with them to customize your experience to suit your taste and budget. Wedding planners are invaluable, and alleviate the stress of making all the arrangements yourself. They can help handle every aspect of your wedding from making sure you have the correct documents, to making sure everything goes off without a hitch on your wedding day. They know their resort in and out, and create the perfect wedding for you. They help choose the right setting and personalized add-ons like private receptions, flowers, and spa treatments. Mexico, like all other destinations, has a number of restrictions and requirements that have to be met in order to be married there. To overcome this, many couples now are getting legally married at home (secretly or not), and then doing a symbolic wedding in Mexico. You can do all the features of your wedding, but would not have to do all the requirements of the actual ceremony. As far as your guests are concerned, this is your actual wedding. 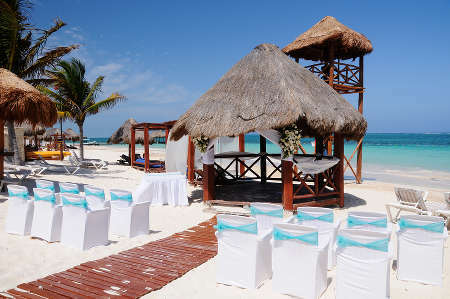 Destinations weddings in Mexico have a great appeal for your guests to use it as their vacation. Contact us to plan your destination wedding or honeymoon for you and all of your guests!